Saskatchewan – the Land of Living Skies – is home to magnificent sunsets, breathtaking Northern Lights, spectacular cloud formations and sweeping flocks of migrating birds. Close to 70% of the continent’s waterfowl migrate through the province; a result of Saskatchewan’s position in the midst of the Prairie Pothole Region. In areas like the Allan and Dana Hills southeast of Saskatoon, there are as many as 60 breeding waterfowl pairs per square mile. Waterfowl include gadwalls, sandhill cranes, rare whooping cranes and the ubiquitous Canada geese. It is also home to large concentrations of shorebirds such as plovers, phalaropes and sandpipers and grassland songbirds like pipits, bobolinks and meadowlarks. Farther north, the boreal forest bustles with life as varied as caribou, muskrats and pelicans. Saskatchewan’s wildlife is in jeopardy. Urban populations are booming. Agriculture is expanding. As the province’s wetlands are drained to make room, habitat is disappearing. In some areas of the province, 90 per cent of wetland habitat is gone. The effects are devastating for wildlife and people. The need for sustainable growth and conservation efforts has never been greater. The Land of Living Skies is changing. 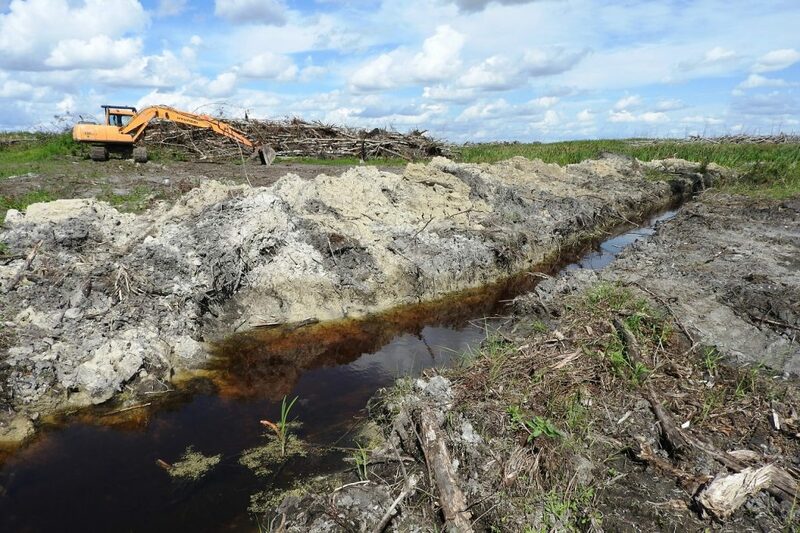 Wetland loss across the province is estimated at 28 acres per day. As much as 90% of wetlands have been destroyed in parts of the Prairie Pothole Region. Much of the habitat that remains is damaged. Wetlands are viewed by some people as an inconvenience. That’s why many have been drained for industrial and agricultural development. Even where wetland mitigation is being tested, it does not adequately compensate for the loss of natural wetlands. 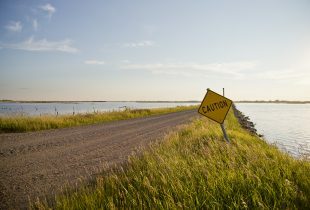 Saskatchewan’s municipalities do not yet have sound wetland policies for sustainable growth. Though it is currently illegal to drain water from the land without a permit, unpermitted drainage is happening without penalties. And landowners who are suffering from increased water downstream receive no compensation. DUC has strong roots in Saskatchewan, stretching back to the beginning of the organization in the dustbowl era of the 1930s. Today our more than 3,050 Saskatchewan projects provide habitat for wildlife and recreation areas for people, especially in the Prairie Pothole Region. We have secured 1.8 million acres and positively influenced 7.3 million acres of Saskatchewan land and water. 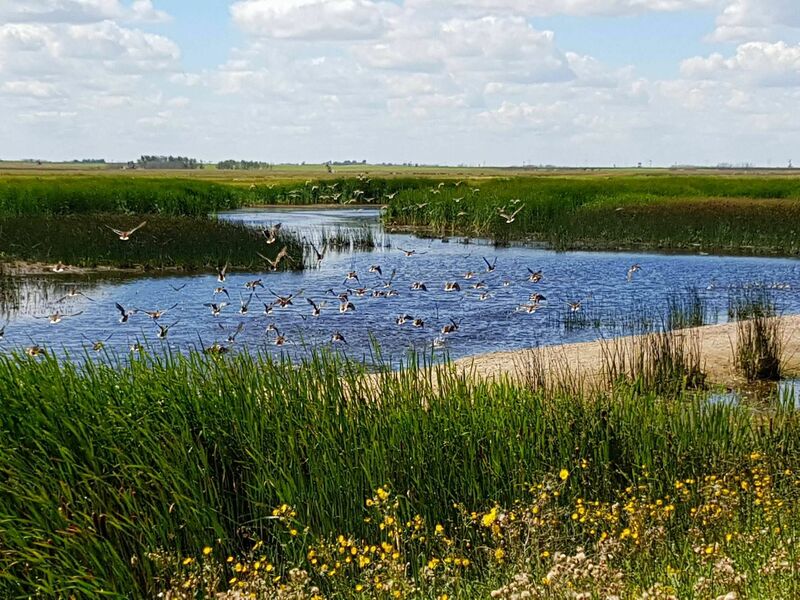 Our philosophy in Saskatchewan is simple: conserve wetlands, restore those that have been drained or damaged, and responsibly manage the projects under our care. We focus on securing the land and water that waterfowl need to survive. Our programs restore drained wetland basins and seed nesting cover for waterfowl. Once land is secured or restored, we manage the land through maintenance work, tendering of hay and working with long-term partners to steward the habitat. The RLCP has enabled us to protect more than 7,500 acres in Saskatchewan alone, by partnering with landowners to purchase land and secure habitat on the property. Once we have restored and protected the wetlands and other habitat, we sell the land to others who will conserve it and use it. A conservation easement is a legally binding agreement that prevents development and can provide substantial benefits to land owners. We negotiate these agreements to conserve parcels of land for future generations. Farmers and ranchers retain land ownership and continue to use their land for activities like hay or grazing. Some may be eligible to receive cash payments. DUC promotes winter wheat because it provides undisturbed nesting cover in the spring for waterfowl like northern pintail. The crop is beneficial for farmers, too. 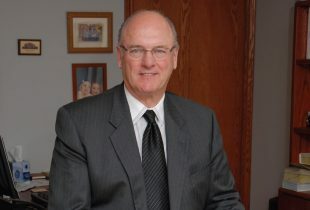 One of the highest net income producing crops in Saskatchewan in the past five years. In 2010, DUC purchased 6,400 acres to create the Touchwood Hills Conservation Ranch. Characterized by rolling hills, ample wetlands and aspen parkland, the area is prime waterfowl breeding habitat. 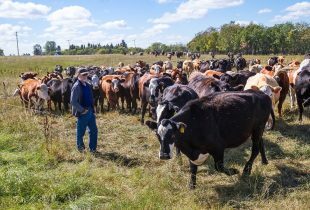 It is one of the largest ranches in the area, allowing us to demonstrate how a “working ranch” can utilize management practices, such as waterfowl friendly grazing, that are both economically and environmentally sound. On May 4, 2016 the Regional Centre of Expertise in Saskatchewan, an affiliate of the United Nations focused on education for building sustainability, presented the Touchwood Hills Conservation Ranch with an education award. DUC partners with landowners, industry and other stakeholders to promote policies that protect wetlands while acknowledging the needs of agricultural producers. We are working to build a sustainable future with all levels of government – one that will deal with the serious issue of wetland drainage, particularly on private land in southern Saskatchewan. To promote an appreciation for conservation, we’re offering education programs that provide access to wetlands projects where young and old can explore and enjoy the outdoors. Our research uncovers the environmental, economic and social benefits of wetlands. It’s how we understand the relationship of wetlands to flooding, water quality and climate change. Our Regina unit provides geographic information system (GIS) support services for the Prairie Region. GIS is a system designed to capture, analyze, manage and present geographical data. In our work, it provides detailed wetland mapping, analysis and targeting tools for our conservation programs. We are also developing the use of a UAV’s or “unmanned aerial vehicles”, commonly known as drones. A UAV can be flown over land for mapping or aerial photography.